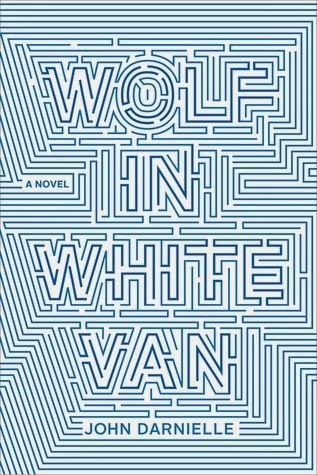 Wolf in White Van is the story of a teenager/young man who grew up in a life of enui and escapism. He suffers a disfiguring “accident” and lives his life running a complex play-by-mail role-playing game. John Darnielle, the author, has been called “the greatest lyricist of his generation”. I have never heard one of his songs but after reading his debut novel I believe it. Darnielle’s prose has an infectious quality that creeps into your skull. There were many points during my reading where I felt that I was sitting among the characters and watching the story. It helped that I shared many traits with the protagonist, such as a love of Conan and fantasy and a willingness to use that fantasy to escape the doldrums of suburban existence. Reading this book made me feel like I was becoming delusional from inhaling the smoke coming of the burning ruins of my childhood. The main character runs a play-by-mail game called Trace Italian. This allows him to earn money while staying at home, since his accident has left his face horribly damaged. He invented the game while recovering in the hospital. Players in the game try to navigate a post-apocalyptic landscape in order to reach the safety of the Trace Italian, a mythical fort built by survivors. Players are constantly making choices on their quest to security, which is forever out of reach. The whole novel is a meditation on the choices we make and the blame we try to place when tragedy hits, as well as fantasy and reality and their intersection in our minds. This is a thoughtful, sad, and emotional book that is worth the read. If you considered yourself a freak or outsider during high school, or wanted to know what that felt like, then this book will give you an emotional tour of what it was like. I give it five out of five Robert E. Howard fanzines. Appendix A - Play-by-Mail Games, What are Those? Play-by-mail gaming has been around since the early days of hobby gaming. The board game Diplomacy has a long history of being played by the mail, and many early Diplomacy zines were dedicated to postal games. The game that is shown in Wolf in White Van is of the type where a player sends in their turn, and the game moderator then processes the turn and sends back a response. Companies usually charge per turn. I remember seeing ads for these types of games in various magazines during the 80's and 90's. There was even a magazine dedicated to play-by-mail gaming called Paper Mayhem, which was published in Ottawa,Illinois, a town I lived in for a while as a youth. It would seem that video games and the internet would choke off the need for the play-by-mail format, but there are still some companies operating games. The biggest change is that turns are usually sent by email, but the idea is the same. Various players send in their turns, and the moderator processes these turns (usually with a computer program) and sends back the results. Flying Buffalo published Tunnels and Trolls, one of my favorite rpgs. They also run various play-by-mail games. I played one of them called World Wide Battle Plan. It is a global war game where you control a country. You build armies, send out spies, launch missiles and engage in diplomacy. It was complex and interesting. Flying Buffalo runs many games, including one based on their popular Nuclear War card game. They have science fiction games, wargames, fantasy games, and more. I used to see the ad for Reality Simulations in Dragon Magazine. I never played one of their games but I did check out their website. They run three games; a gladiator game, a wargame based in the Hyborian (i.e. Conan) realm, and an rpg/exploration game set in the Forgotten Realms AD&D setting. If you are interested in either of those licensed settings they are worth checking out. The only thing I know about this company is that they won an Origins Award and that they offer games set in Middle Earth. Again, if this a licensed setting that interests you then check them out. What do you get out of a play-by-mail game? Back in the 80's, play-by-mail was a way for hobby gamers to find and play games with other hobby gamers. If you were the only guy in town with an interest in D&D and/or Squad Leader, play-by-mail was a great outlet for playing the games that you wanted to play. In today's world of the internet, MMORPGs, and Target stores selling Ticket to Ride, does play-by-mail still offer a viable entertainment? What play-by-mail games offer today is a certain level of sophistication. These games usually offer the player a multitude of options during play. Do you raise armies or train spies? Do you invade the neighboring kingdom or do you build up your navy? Many of these games gave huge turn sheets that require steel acumen to fill out. When I played World Wide Battle Plan I felt like a NORAD commander planning tactical strikes from my bunker. The effort put in gives a sense of accomplishment, and the interaction with dozens of players gives the games a Byzantine feel. If you want to be a true commander of imaginary men, try one out.